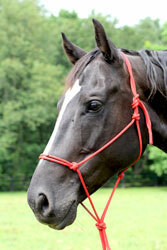 Shadow is a Thoroughbred/Appaloosa cross bred at a local farm. 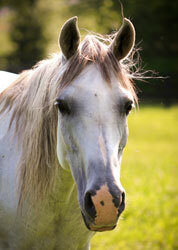 He was the first horse on the property at Meadows of Hope (MOH). He is the youngest horse on the farm at 7 years old. He came to us at 4 years old, with only a little training. He is a go-with-the-flow kind of guy, but very clever. 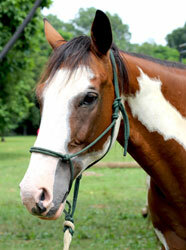 Calypso is a registered American Paint mare. She joined the MOH team at the same time as Jewel, our Girls’ Care Supervisor. Calypso is the only horse at the barn with blue eyes. She is sensitive, sweet and very relationship oriented. Riot is a Thoroughbred/Paint cross mare. She was first introduced to Bree as a training client to be started under saddle. Years later, she was for sale and Bree jumped at the chance to have her in the barn again. She got her name because of her exuberant, spitfire personality and her flashy color. Skip came to MOH after being passed through several other homes. His strong personality makes him not the best fit for every home, but a great asset to the program here. He is charismatic, athletic, and smart (and drop-dead gorgeous!). 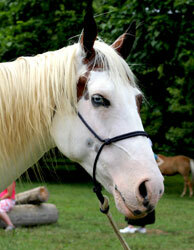 Belle is a purebred Arabian, born just down the road from Meadows of Hope. 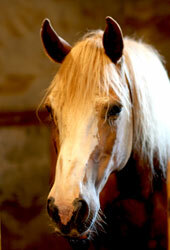 She spent some time at Bree’s barn before coming to the program at MOH. She is an absolute sweetheart. Her gentleness and willing attitude make her a great confidence builder. 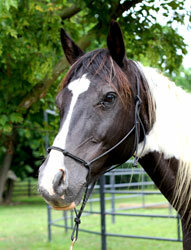 TJ is one of Bree’s personal horses, currently leased to MOH. He became Bree’s partner when he was 4 years old and taught her a whole lot about relationships. Now at 18 years old, he’s partnering with a girl at MOH. TJ is not aware that he is the oldest horse on the farm. He is smart, sensitive, and has a huge desire for connection. 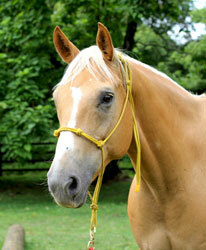 Midas is a personal horse of Bree’s, leased to Meadows of Hope. Despite being given away for free, he has since proved that he is just about worth his weight in gold, hence the name. He is the closest to “bombproof” that a horse can be, and really dependable. He’s rarely in a hurry, unless it’s supper time. Information and Images Copyright of Meadows of Hope.